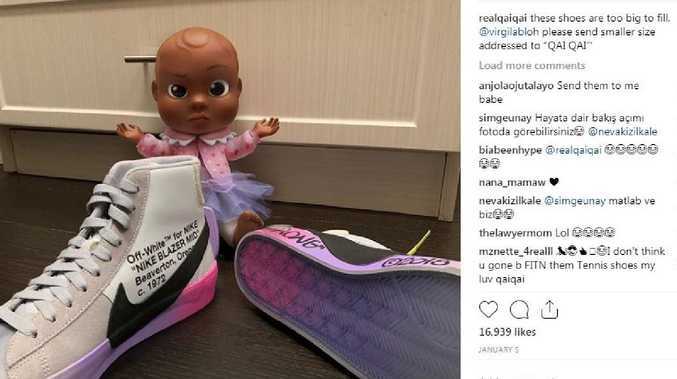 Daughter Olympia’s doll Qai Qai with a pair of Serena Williams’ custom tennis shoes. 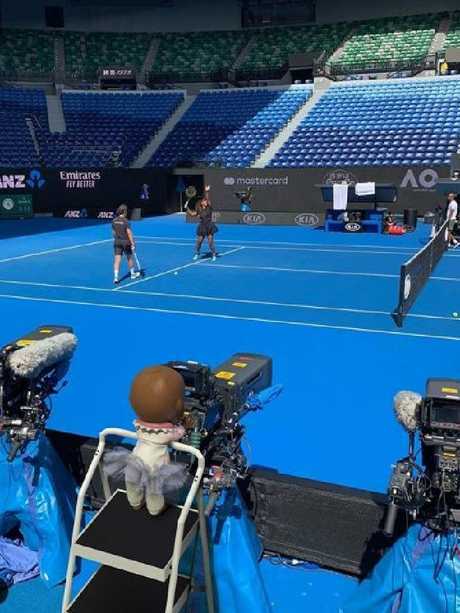 She's an Instagram hit, idolises Serena Williams, and her coverage of the Australian Open from prime position at Rod Laver Arena is growing in popularity. 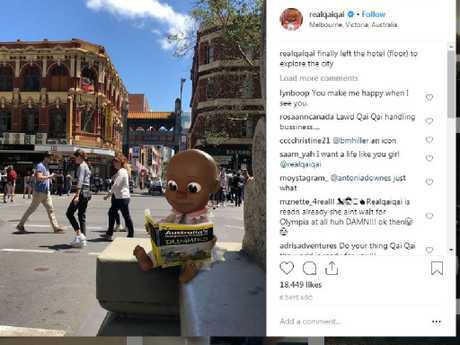 Qai Qai, the black doll of Williams' daughter OIympia Ohanian, 1, has already amassed 16,400 followers on Instagram. 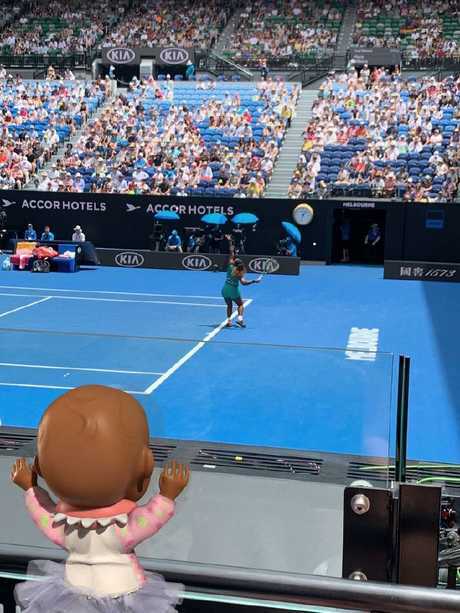 Photographs of the doll, which tennis legend Williams deliberately bought her daughter because "I wanted her first doll to be black", show Qai Qai cutely positioned court side, arms in air as Williams serves. In another photo, Qai Qai - pronounced Qay Qay - appears to be the camera operator recording coverage on centre court. 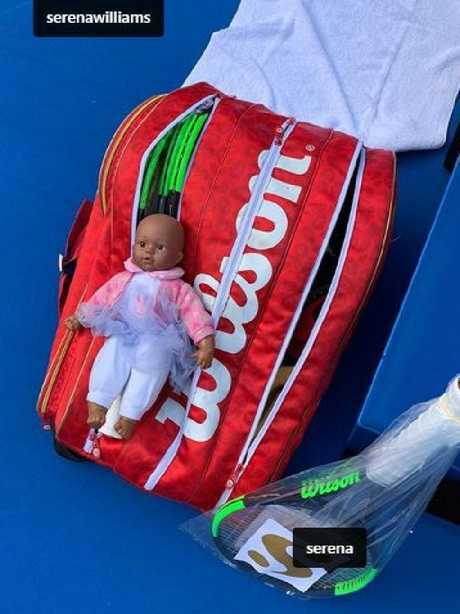 Adorable photos of the doll at tennis tournaments around the world with Olympia and with her parents, Williams and husband Alexis Ohanian, abound on the @RealQaiQai Instagram page. Doll Qai Qai at the Australian Open. 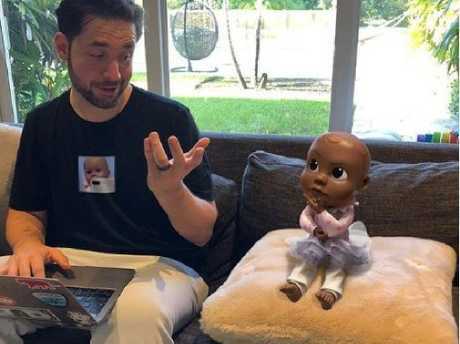 Olympia’s father, Alexis Ohanian, appears to operate the doll’s Instagram page. The page, operated by Reddit founder Mr Ohanian, made Qai Qai the subject of an interview in Melbourne this week. At a media conference after her slamming 6-0, 6-2 first round defeat of Germany's Tatjana Maria, Williams explained she wanted Olympia to have a black doll. "Growing up, I didn't have that many opportunities to have black dolls," Williams said. "And I was just thinking, like, I want her first doll to be black. And, you know, her heritage, obviously she's mixed, she's caucasian and black, but I feel like that was her first doll and I said her second doll would be caucasian. "So I definitely want to always teach her love and teach her just basic human... humans should always have love for each other, no matter what colour they are." Williams also commented on being back at the Australian Open after winning in 2017 while pregnant with Olympia. "I was actually pregnant and playing at the same time, which is insane," Williams said. "It's kind of weird walking on, by myself this time, but it feels good." Qai Qai on court with Williams’ gear. Qai Qai operates the camera at Rod Laver Arena. 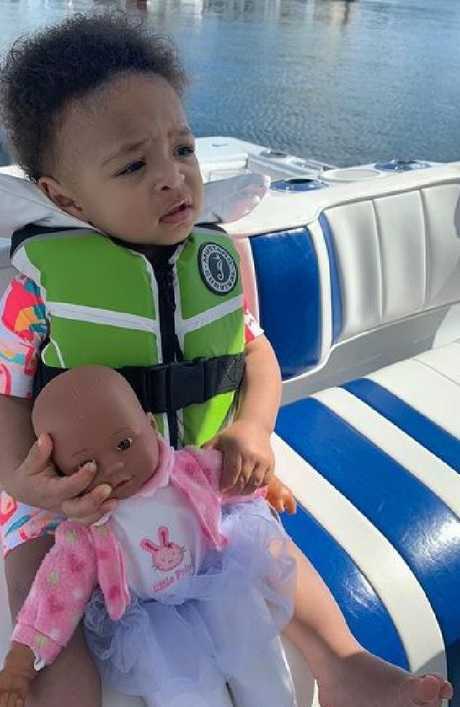 Serena Williams wanted her daughter Olympia to have a black doll. 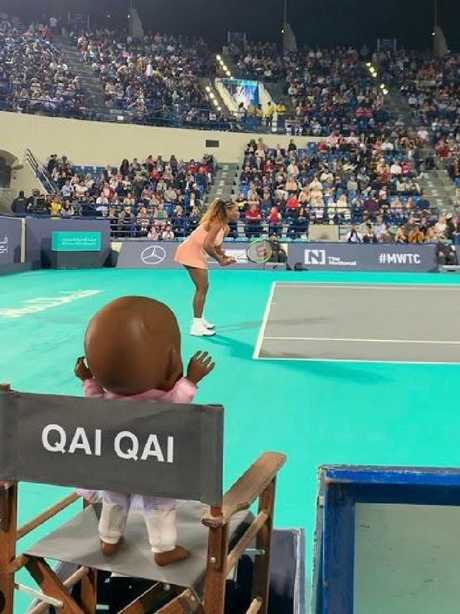 The doll watches Williams in Abu Dhabi. An animated version of Qai Qai has also started to feature on the account.